If you or a loved one don't make frequent appearances in certain "geeky" circles you probably won't have any interest in this topic, but bare with me. You should understand by now that where ever there is a market, there are people willing to sell you something. Enter from Stage Left, Gundam Markers. One of the things I never realized that I had any interest in until my trip to Japan was Gundam Models. You could click the link to Wikipedia's page on Gundam Models, but the basic idea is they are plastic models from a Japanese Animated (Anime if you prefer) Science Fiction series rather than plastic models of battle ships or muscle cars. I was on the plane browsing through the Japanese version of Sky Mall when I saw an ANA themed Gundam. While I was initially repulsed by the over-commercialization of an already overly commercialized brand, I was intrigued. Would Japanese businessmen really purchase these for their children to assemble when they return home? 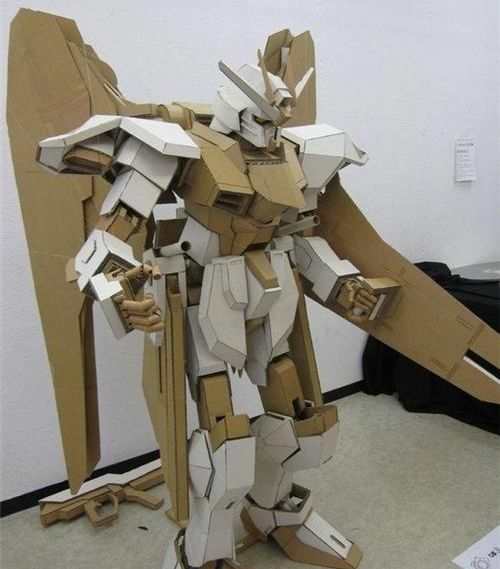 Are Gundam models really that easy and look that cool? I wanted to be that cool, but I was unwilling to pay extra for one due to a weak dollar-to-yen ratio. So I did what any sensible person would do: I waited until later and picked one up on the cheap on eBay. I wasn't ready to go and spend a ton of cash on an expensive supplies or create things from scratch, but I didn't want to just perform a half-decent model construction like I did as a youngster. I did some research on how "experts" put together these models and found all kinds of info about seam-line removal, weathering and panel lining and all kinds of other model making techniques. 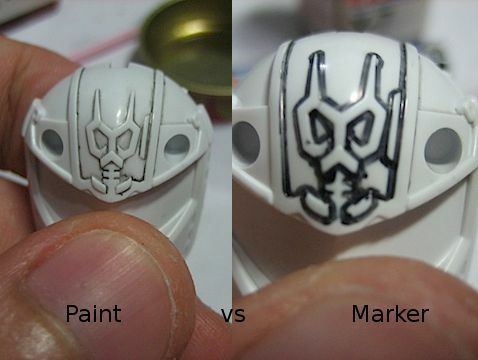 The most popular method is panel lining, as that can be achieved by just using a marker. 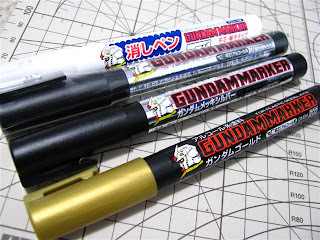 Unfortunately Gundam Markers are reported to clog and have wide tips so people are always looking for alternatives. While I haven't taken the time to do vigorous testing, the consensus is that you should only rely on pigment markers or pigment pens and the narrower the tip the better. 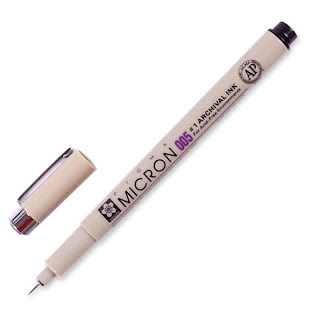 This Pigma Micron pen has a point of only 0.20mm (the smallest you'll find on a Pigma Micron) and the pigment based ink means it'll permanently work on any surface you apply it to. So if you are looking for a great pen that will draw some great panel lining on painted or unpainted model pieces, look no further. You'll draw lines as thin and as steady as your hand can create. If you really want to go overboard, ITOYA offers a 0.10mm pigment pen but the Gundam modelers have never mentioned that particular brand. Of course, as you delve deeper into the Gundam modeling world you will find more people who would prefer to leave the markers to the boys because real men use paints and paintbrushes. Just take a look at the image above and you'll notice that the striking difference between using a solid maker and attempting to move the excess vs using a properly thinned enamel paint. things considered, the truth of the matter is if your money related conditions are bad, you can at present profit your auto fund and purchase your vehicle. Payday advance suppliers hone dependable loaning strategies, and point not to loan to the individuals who are over obligated, so they for the most part complete acknowledge checks as a feature of their endorsement procedure. The auto that you are utilizing for guarantee must hold a specific measure of value and be forked over the required funds with no different liens or cases. It likewise should be completely protected.